3:29 p.m., Aug. 6, 2008----Did you know that there are more living creatures in a tablespoon of soil than there are people on the Earth? This and other fun soil facts are brought to life thanks to UD soil scientists, scientists from across the country and many state partners, in the newest exhibit at the National Museum of Natural History in Washington, D.C. “Dig It! The Secrets of Soil” opened July 19 and features 5,000 square feet of educational exhibit space dedicated to soil and its life-sustaining properties. Tom Sims, associate dean for academic programs and research for UD's College of Agriculture and Natural Resources and the T. A. Baker Professor of Soil and Environmental Chemistry, and Don Sparks, S. Hallock du Pont Chair of Plant and Soil Sciences and director of UD's Center for Critical Zone Research, were instrumental in Delaware's contributions to the exhibit. 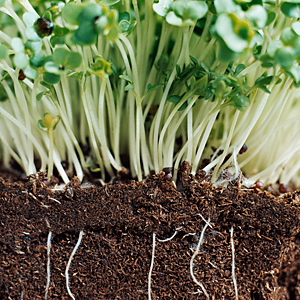 The soils and environmental quality program at UD, in the Department of Plant and Soil Sciences, is nationally recognized for addressing soil resources as they relate to agricultural and environmental challenges. These two prominent UD soil scientists served as president of the Soil Science Society of America (SSSA) in 2002-04 and 2000. respectively. 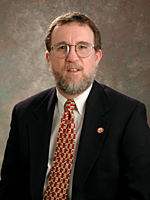 Sparks also served as president of the International Union of Soil Sciences from 2002-06. During these time periods, they worked on exhibit development. “Dig It!” uses interactive displays, hands-on models, videos and soil samples to guide visitors on a quest to learn more about soil as an often overlooked but vastly important resource and ecosystem. Through the 5,000-square-foot exhibit, visitors will look at the “skin” of the Earth, see how soils are formed and learn about their characteristics, learn how soils play a part in both life and death, investigate how soils are important to environmental issues like water quality and global warming, and find out how soils play an important role in the everyday life of everything from worms to people. There is even an interactive exhibit that highlights each state's soil, including Delaware's own Greenwich loam. In 2000, then Gov. Thomas R. Carper, through the sponsorship of state Rep. V. George Carey, signed House Bill 436 establishing Greenwich loam as the official state soil of Delaware. When the exhibit commenced development and the SSSA was looking for supporters, Carey approached the Delaware State legislature for support. UD alumni working in the soil sciences also were instrumental in contributing to Delaware's efforts. 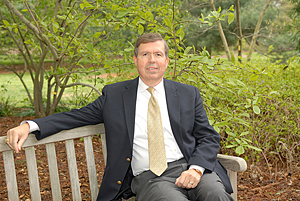 The Carski Foundation, with encouragement from alum Ted Carski, AG '86 Ph.D., made significant contributions to reach the fundraising goal. At the conclusion of the exhibition at the National Museum of Natural History on Jan. 3, “Dig It!” will travel to 10 museums throughout the U.S. through 2013 via the Smithsonian Institution Traveling Exhibition Service. Additional information about “Dig It! 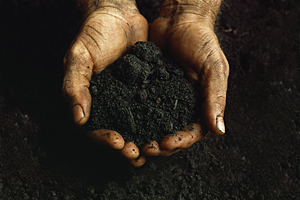 The Secrets of Soil” is available online from the Smithsonian at [http://forces.si.edu/soils] and on the Soil Science Society of America Web site at [https://www.soils.org/smithsonian]. The National Museum of Natural History is located at 10th Street and Constitution Avenue N.W. in Washington, D.C., and is open daily from 10 a.m.-7:30 p.m. through Sunday, Aug. 31, and from 10 a.m.-5:30 p.m. thereafter. Admission is free. More information about the museum is available at [www.mnh.si.edu] or by calling Smithsonian information at (202) 633-1000.